It’s always nice to discover that some of your ideas are not totally out in left field, not that there’s anything wrong with being in left field. I was recently reading a wonderful book by Paul Wachtel on Therapeutic Communication (2011) where he discussed his concept of cyclical psychodynamics describing how our current interactions with others maintain our not so useful thoughts, feelings, and behaviors. And, irony of ironies, the very behavior we employ to ward off the humiliations and contempt we experienced when younger, now bring about the very state of affairs we are trying to avoid. Don’t be afraid of the phrase “cyclical psychodynamics” obscure as it may sound. It expresses Wachtel’s upgrading of classical psychodynamics (which is an updating of Freud’s even more classical psychoanalysis.) The old school said we learn patterns of interacting when we are very young and those patterns get set in stone (or rather in neurons). They get isolated from new experiences and so don’t change with experience. We are incarcerated babies in grown-up bodies. Cyclical psychodynamics says we repeat those archaic patterns in our current relationships but do so in creative ways which are influenced by people we are currently interacting with. So we can be stuck in our ways but experience can modify our manners. We can re-wire our neural connections and interact in new, more effective ways. Wachtel also explores cyclical psychodynamics in his earlier books Psychoanalysis, Behavior Therapy, and the Relational World (1997) and Relational Theory and the Practice of Psychotherapy (2008). I was delighted to discover that I have been practicing cyclical psychodynamics without knowing it. I’m reminded of the character in one of Moliere’s plays who was amazed to find that he was speaking prose all his life. I wrote in my book Nine Lenses on the World (2010) about how our Enneastyle strategies are over-compensations for the maladaptive beliefs we may have about ourselves and others and how these defensive strategies actually bring about the very condition we are trying to avoid. Voila! Cyclical Psychodynamics. Here are some extended quotes from Wachtel describing his theory. After them I’d like to muse about how cyclical psychodynamics might work in each of the Enneagram styles. The kind of experiences we have early in life, and our way of dealing with these experiences, strongly influences what further experiences we will encounter, as well as how we perceive those experiences and how we deal with them. For example, the two-year-old who has developed an engaging and playful manner is far more likely to evoke friendly interest and attention on the part of adults than is the child who is rather quiet and withdrawn. The latter will typically encounter a less rich interpersonal environment, which will further decrease the likelihood that he will drastically change. Similarly, the former is likely to continually learn that other people are fun and are eager to interact with him; and his pattern, too, is likely to become more firmly fixed as he grows. Further, not only will the two children tend to evoke different behavior from others, they will also interpret differently the same reaction from another person. Thus, the playful child may experience a silent or grumpy response from another as a kind of game and may continue to interact until perhaps he does elicit an appreciative response. The quieter child, not used to much interaction, will readily accept the initial response as a signal to back off. how their defensive strategy brings about and repeats the very situation they are trying to avoid. Valuing being good and taking pride in being right, ONES are especially sensitive to criticism and being told they are wrong. Their perfectionist style is a way of assuring they won’t be criticized. You can’t criticize them if they’re perfect or blame them as long as they’re trying really hard. Ironically the very maneuvers ONES engage in to avoid being criticized and to avoid being wrong, bring about their being criticized. Being overly perfectionistic, pedantic, exacting, and critical frequently elicit censure, anger, and avoidance from others. This confirms the belief the world is imperfect and not the way it should be. If you anticipate being wrong (or wronged), your defenses will attempt to prove that you are right and the other person is incorrect. This will provoke others into defending themselves by demonstrating they are right and you are wrong. When you pull others into your right-wrong filter and insist on being right, others will react to prove you wrong. Your superego takes on their superego and the contest of who is right and who is wrong is begun. If ONES anticipate that others will have high expectations of them and will be critical and rejecting of them when they don’t come up to those standards, they will subtly maneuver others to be critical of them, appointing their judges. They will interpret others’ responses as attacks and their righteousness will rise up, proving they are right and others are mistaken. ONES will then feel resentful that they can never get it right enough and never satisfy others’ expectations. Valuing relationships and taking pride in being loving and generous, TWOS are easily hurt by rejection and by a lack of attention and appreciation shown them. They are sensitive to feeling useless and unneeded. Their rescuing style is an attempt to gain recognition, gratitude, and acceptance and to make themselves necessary and important in the lives of others. Ironically, being too nurturing and smothering often elicits pushing-away behavior from others instead of the hoped for coming-closer behavior. This confirms the belief that getting one’s own needs met is unacceptable and unlikely. If your worth depends on helping, you need to solicit helpees. If you want to be indispensable, then dependent people might be willing accomplices. You would reinforce their dependency by serving them and they will simultaneously reinforce your self-image as a helper. However others might not want to turn down a TWO’s offer of help because they know it would disappoint TWOS, hurt their self-image, and may elicit a pouting indignant response. So others say “yes” when they don’t really want help and then they don’t appreciate the TWO’s help and don’t say “Thank you.” This then aggravates the TWO’s schema that people don’t appreciate them enough and so they try harder to please. Thus a vicious circle is established. Or you may try to solicit an EIGHT or a FIVE to be an accomplice which would be disastrous since neither will admit to needing your help. Rejection now! If you can’t find genuinely needy people, you will need to create them – which is what advertising is all about. You need to convince others that they have problems and you have solutions. If you get too many customers, you may not be able to deliver because your to-do or, rather, to-help list is too full. You might then feel worthless – which is the very thing you are trying to avoid. Valuing success and taking pride in their accomplishments, THREES are hurt by rejection and failure. Their achieving style is an attempt to be successful and to maintain relationships through performing and doing for others. Their concern about image and looking good has to do with getting people to admire them. If you need to be successful to feel worthwhile, then you need to perform so others will applaud you. You have to create an approving audience, either in your head or in your theater. Groupies are usually easy enough to find. But do they admire your performance and appearance instead of you? Or do they bask in your accomplishments to feel good about themselves? Have you manipulated admiration from them? An overly achieving, mechanical style frequently turns other people off or encourages them to interact with the persona or role instead of with the real person. This confirms the THREE’s belief that performance, not genuineness, pays off. THREES promote their accomplishments and then get praised for their successes thereby reinforcing this pattern. Others aren’t offered an opportunity to interact with the THREES’ authentic self. Also others are usually only given the opportunity to respond to THREES positive achievements and not to anything negative or inefficient in them. Success is rewarded; failure is distained. Ironically THREES want to avoid failure but end up feeling like failures as real persons in real relationships. Valuing relationships and belonging and taking pride in being special, FOURS are easily hurt by feeling abandoned, left out, or going unnoticed. They are prone to feeling flawed, undesirable, and unwanted. Their style of being special is an attempt to get others to notice them and keep others connected to them. Or, at least, I will make such an impression on you, that you will never forget me. FOURS feel misunderstood and fear being abandoned. To play out their fears, FOURS need to audition people for their drama. They set up an accordion relationship where they pull others in, then push them away. Both longing for intimacy and fearing it, FOURS entice then rebuff their companions. This “come here; go away,” “I hate you; don’t leave me” confuses others, leaving FOURS feeling misunderstood. The FOURS’ Sturm und Drang eventually becomes too much for the antagonist who then leaves the relationship. FOURS’ attempts to be special bring about the very situation they dread: being abandoned. An overly sensitive, refined, precious, entitled, easily misunderstood disposition generally brings about misunderstanding and distancing instead of empathy and connection. This confirms their maladaptive schema of being unlovable. To validate their fears of being abandoned, FOURS need to select people who will abandon them. They can find people who are unavailable or who have an avoidant personality. They will eventually leave FOURS just as they’d leave anybody else. If FOURS have something of an ambivalent attachment pattern themselves, they might doubt that people would want to be with them and then cling to others or demand that they be with the FOUR. Either of those strategies, clinging or claiming, will probably bring about what they fear most: being left. Like all of our defensive strategies, FOURS regrettably get what they ask for. Valuing privacy and their own personal space, and taking pride in their knowledge and understanding, FIVES are easily spooked by being invaded, having demands and expectations put on them, being deprived, belittled, or ridiculed. Their knowing and loner style is an attempt to ward off intrusions, be self-sufficient, and avoid looking foolish. Keeping quiet and withdrawing provokes intruding and projecting behavior from others. Nature abhors a vacuum, so people move into the space vacated. If your concern is that others are not interested in what you have to say, not saying anything will probably lead to people not listening to you, since you’re not speaking. Or you can be so pedantic that people don’t know what the hell you are talking about and so lose interest. Being silent can either be interpreted as: “She must be thinking something brilliant;” or “He must have nothing to say.” The latter confirms the belief that others are uninterested and FIVES have nothing to offer them. Paradoxically the FIVES’ defensive strategy brings about what they are tying to avoid. And if FIVES’ deep down desire is for intimacy, like every other human, then hiding out in their room or keeping people at arms’ length are probably not the ideal behaviors to bring about closeness. Valuing fidelity, consistency, and security and taking pride in being loyal, SIXES are scared by perceived threats and challenges. They are vulnerable to being caught off guard and to others’ misuse of authority. Their phobic style (loyal and dependent) or counter-phobic style (rebellious and independent) are two sides of the same coin which seeks to purchase safety and security. By appearing fearful (phobic SIXES) or by threatening others (counter-phobic SIXES) SIXES may invite attack either from predators looking for a victim or from innocent bystanders wondering why they are being confronted. An overly-fearful strategy might encourage others to take advantage of you, the very thing you are trying to avoid. A counter-phobic attacking approach might provoke others to attack or challenge you, the situation you are attempting to avoid. Anxiety can be contagious. Children can catch if from their parents. Or think of mass hysteria where bystanders catch it from each other. By infecting others with their anxiety, SIXES intensify and spread their fear that the world is dangerous. A suspicious paranoid attitude generally elicits hostile or plotting behavior from others. Thinking that people are talking behind your back usually leads to their talking behind your back. This confirms the maladaptive schema that the world is a dangerous place and is out to get you. Starting off with the belief that there are only two sides — those that are on your side and those that are against you – customarily creates two embattled sides: your friends and your enemies. Part of SIXES’ auditioning process is to assess who’s for them and who’s against them. And, ironically, this friend/foe dichotomy generates enemies, perpetuating the drama that the world is perilous. Valuing enjoyment, freedom, and variety and taking pride in being upbeat and resourceful, SEVENS are brought down by having their options limited. They are wounded by having their balloons burst, parades rained on, and parties pooped. Their sunny-side-up style is an attempt to stay on the high side of life and to experience as much as life has to offer. SEVENS fear boredom and having their options limited. By constantly seeking novelty and new experiences, SEVENS wear out their companions who seek to rest – which SEVENS interpret as being tiresome. SEVENS’ restlessness brings about the very thing they fear: inactivity. Initially SEVENS might be attracted to grounded stable individuals whom they will eventually find to be tedious, staid, B-O-R-I-N-G.
SEVENS want to be up. Because the universe and human systems seek balance, the more bubbly SEVENS become, the more others become still. The yin of optimism flows into the yang of pessimism, eventually leading to the resolution of realism. But SEVENS may release their tether to reality long before balance wins out. Ironically constantly seeking novelty becomes tedious and limiting. People who are compulsively cheerful and enthusiastic often elicit limiting and depressing responses from others as they attempt to “ground” or “shoot down” the high-flying optimist. This confirms the SEVENS’ maladaptive fear that others are going to rain on their parade, and pop their balloons. A fear of being limited or ensnarled may paradoxically lead to being tied down to always having to change. If others can’t keep up with your flights of fancy and adventures, you might find yourself alone and bored and experiencing the very condition you are trying to avoid: FOMO, the Fear of Missing Out. Valuing justice and autonomy and taking pride in being strong, EIGHTS are particularly irked by being neglected, being unjustly treated, and feeling powerless. Their powerful style is their way of being in charge and guaranteeing they will be heard and won’t feel weak or be taken advantage of. EIGHTS fear being weak and vulnerable. Ironically being strong leaves them weak because by being super independent, they forego the support of others and no man (or woman) is an island. When Paul the epistle-writer wrote: “When I am weak, then I am strong,” his weakness made room for Yahweh’s strength. Dictators eventually get toppled and in the meantime live in fear of being felled. Humiliating others and intimidating them eventually lead to uprising and retaliation. Cooperation leads to cooperation. A lack of trust in others leaves one alone and vulnerable. Aggressive stances and behaviors, while intending to instill fear in others, can just as likely elicit aggressive behavior in others. On the playground the less strong frequently try to fight the more strong as a way of proving themselves. This helps confirm the EIGHTS’ belief that the world is hostile. In order to clear the air, EIGHTS invite others to step into their ring and duke it out. Their belief is that anger reveals who the other really is. It might also lead to the EIGHTS’ being knocked out, though this is not in their playbook. If you have the belief that people are unfair and abusive, then you will tend to interpret people’s actions toward you as unjust and punishing and you will react in an aggressive manner which could elicit either a flight response (they are afraid of you) or fight response (they want to beat you, literally or figuratively). If you want to be in relation with others, then scaring them into submission by intimidation may not be the best approach for establishing mutual intimate relationships. Valuing unity and harmony and taking pride in being settled, NINES are especially wary of, and torn apart by conflict. They are easily hurt by neglect. Their relaxed, resigned style is an attempt to defend against feeling uncared for (“It doesn’t matter”) and having to assert themselves “All will be well”). NINES fear conflict and anger. Ironically by avoiding conflict they ultimately bring it about. Their passivity leads to reactivity in others. NINES’ indifference either brings about confrontation or neglect – the two things NINES don’t want. Systems seek balance. Inaction invites over-action. NINES believe the universe is uncaring about their needs and so they settle for whatever they can get. However if they don’t know what they need and don’t express their needs, others won’t realize what they want or will assume they don’t have any particular needs and so will overlook them. The NINES’ strategy for avoiding conflict brings about one of the things they anticipate: their needs not being met. If you start out saying it doesn’t matter and settling for whatever you can get, others may not give you much and you will feel uncared for. If you stay in the background, echoing the Five’s motto of “When in doubt, hide out,” people won’t notice you, thus confirming your belief that people overlook you. Your genuine human needs lie near the core of who you are. Expressing what you want sustains relationships; it doesn’t destroy them or rend the fabric of the universe. Cyclical psychodynamics theorizes how we keep our old not-so-satisfying interactions going. Neurosis is not just doing the same thing over and over, thinking something new will happen. Neurosis also involves auditioning accomplices to keep our narrative playing. This is usually done out of everyone’s awareness. Recognizing how we keep our drama on the road gives us an opportunity to end the long and not-so-successful run or at least to alter the lines and ending. 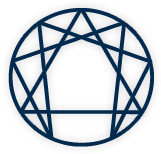 The Enneagram shows how this process proceeds in nine different players. With the benefit of awareness, we can revise our script and rewire our neurons, thus allowing the show to go on and prosper. And that’s no irony. Wachtel, P. (1997). Psychoanalysis, behavior therapy, and the relational world. Washington, D.C.: American Psychological Association. Wachtel, P. (2008). Relational theory and the practice of psychotherapy. New York: Guilford Press. Wachtel, P. (2011). Therapeutic communication, 2nd ed. New York: Guilford Press. Wagner, J. (2010). Nine lenses on the world: the Enneagram perspective. Evanston, IL: NineLens Press.